Save a Life projects range from organising a Blood Drive, to hosting sign up events for donation registers. Each and every project has the potential to save a life, prevent suffering, keep families together and really make a difference. Have a look on Mitzvah Day’s Available Projects page for ideas, or look online – there are numerous initiatives that you can get involved with. It is important to contact the charity well in advance to find out exactly what they need doing, how long it would take, how many people are needed, and timings, insurance and health and safety requirements. Organise your team of volunteers and make sure that they have clear instructions as to what is required. Ensure your volunteers are all able to get to the location on time. Make sure that all your team members arrive on time wearing Mitzvah Day Merchandise, and are aware of what needs to be done. Make sure your team leader has the contact details for someone at the charity or council if appropriate. Thank your volunteers and the charity and encourage your volunteers to get involved in the future with health projects. 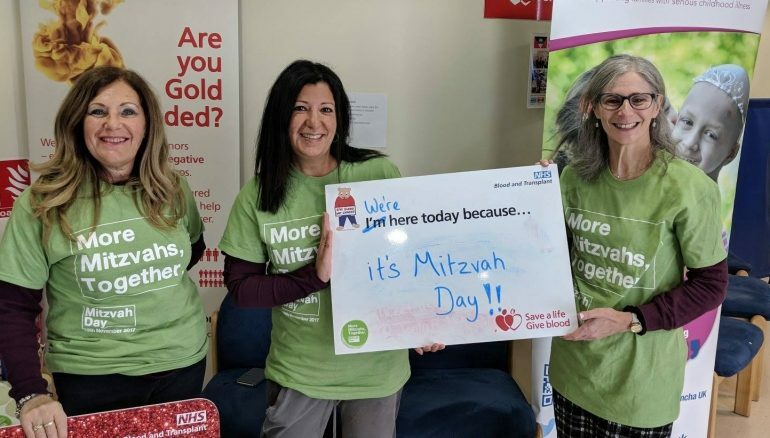 Send Mitzvah Day some before, during and after photos and let us know about your successful Mitzvah Day “Save a Life” Project!